Good news for slow typists: Facebook is working on a technology that can read brainwaves, allowing people to compose emails or messages just by thinking about what they want to write, and all at 100 words per minute. 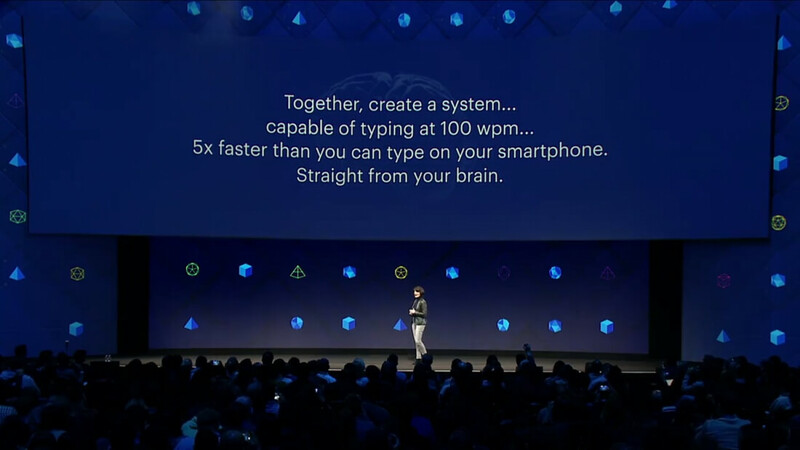 During the second day of Facebook’s annual F8 developer conference, Regina Duggan, vice president of Engineering and head of Building 8, asked: “What if you could type directly from your brain?” She highlighted the case of a woman with ALS who has a tiny implant that reads brain signals, allowing her to type at eight words per minute using only her mind. Over the next few years, Facebook plans to develop non-invasive sensors that are capable of translating thoughts to text at a hundred words per minute. Facebook has a team of 60 people working on the technology. They include machine learning and neural prosthetics experts, and, as noted by The Guardian, it is currently hiring a brain-computer interface engineer and a neural imaging engineer. Optical imaging, which users lasers to capture changes in the properties of neurons as they fire, appears to be the best method for reading words directly from our brains. "The human brain streams 1 terabits per second, while speech is transmitted at 40-60 bits per second, said Dugan. The system could help people with communication disorders, and has applications for augmented reality, where users could interact with what they see using their minds. Coming from a huge company like Facebook, questions have been raised about the privacy implications of such a technology, but Dugan said it was not interested in decoding a person’s random thoughts. Another Facebook project allows people to hear through their skin using a technique similar to braille. In this case, words are communicated by deciphering vibrations sent through an armband. Eventually, “it may be possible for me to think in Mandarin and you to feel it instantly in Spanish,” said Duggan.